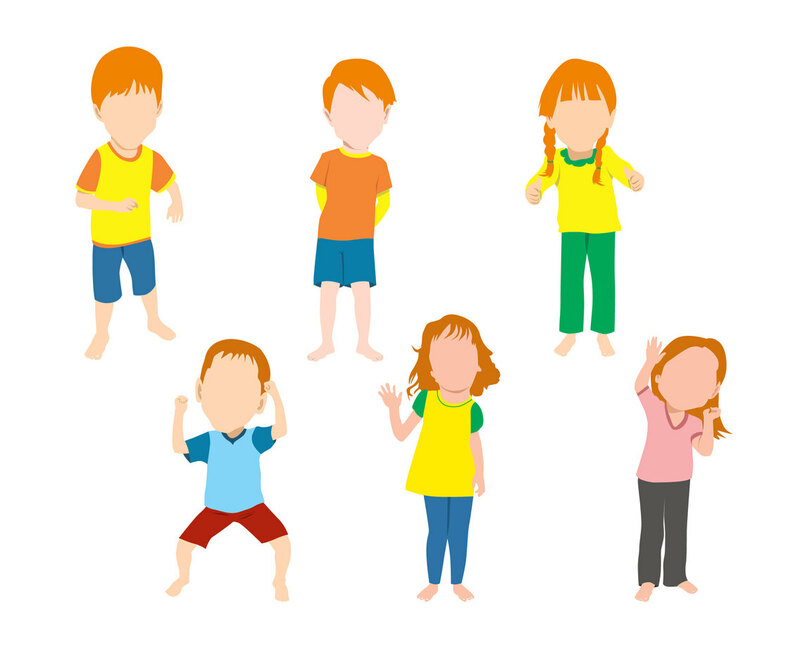 Illustration of little boys and girls with happy face. The illustration is in vector format. It can be great to add the character in children book illustration or kids activity event poster design.